Few nymphs would stay with their tree after it was cut down and turned into paper. 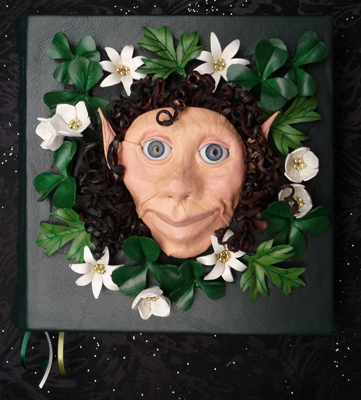 A hand-sewn book, 8″ by 8″, decorated with a moulded leather face and painted leather sorrel and wood anemone flowers. The endbands are of dark green cord, with three bookmarks in green and white ribbon. The face was created by shaping thin kangaroo leather over a hand-sculpted mould. Acrylic eyes were fitted, and the face, flowers and leaves were all painted by hand. *Ordering from outside the UK? 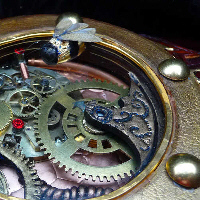 Don’t click ‘Buy Now’ – email me for postage prices!